Megan Munson is a co-editor-in-chief for the 2017-2018 school year. She was a reporter for the 2016-2017 year and absolutely fell in love with journalism. 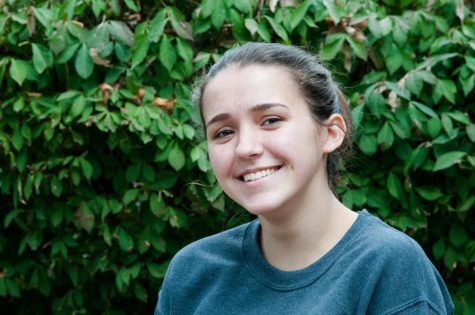 Outside of Nordic, Megan is a co-president of Model U.N. She also climbs, works at the local climbing gym and is a co-president of Inglemoor’s Climbing Club. She is often on a wall. Megan is so happy to be working alongside the (beautiful!) Nordic staff and can't wait to share a year’s worth of stories with its readership.